<< Back to All Misc. Our chalk is clay based and thus it is much easier to erase. Also works on glass and vinyl that other chalks do not. 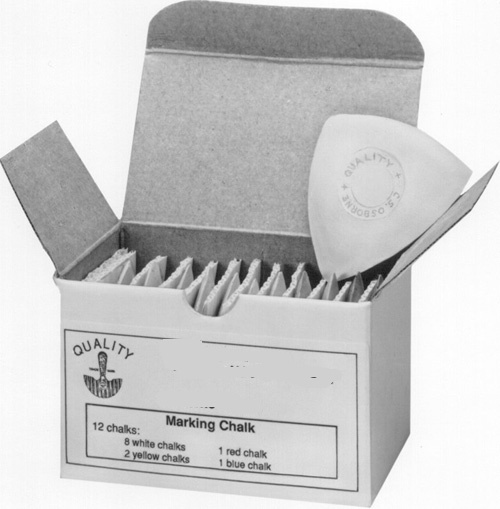 Due to the shape of this chalk a sharp makring edge is maintained.